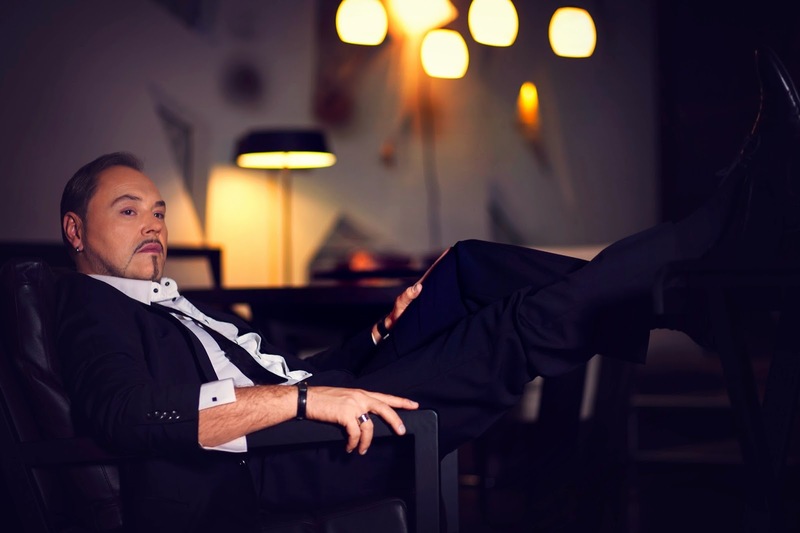 Knez:"I've heard all of them and I like Sweden , Azerbaijan , Russia , Italy , Israel..."
Posted by : Катам воскресенье, 26 апреля 2015 г. This week we're chatting with Montenegrin representative Knez about his plans and got video massage to all of fans and ESCRUS readers. Hello, Nenad! First of all, we want to heartily congratulate you with being chosen as Montenegrin representative at this year’s Eurovision Song Contest. Can you tell us, how and when did you get an offer to be a representative of Montenegro ? What did you feel at that moment? Did you immediately agree? When RTCG had called me on the phone and offered that project , I wasn’t overly surprised because I expected that opportunity, that call, all this time but at that moment I couldn’t believe that it happens. I agreed immediately because what else I could do in that case? Eurovision is a big thing for me and I think it takes place at the right time for me. I have more than 20 years of the music experience and now I feel myself very musically mature. I have to say, that the participation in the Eurovision Song Contest is one of the unfulfilled desire of my late father, who was one of the best musicians in Montenegro, Mili Knezevic. So I was very pleased to be this year’s participant and this Eurovision I devote to my father. How did your team reach the cooperation with one of the most famous composers of the Balkans - Zeljko Joksimovic, who has gained an enviable reputation as a performer and as a composer in Eurovision, whose songs have always been in the top-6? Tell us, please, how was the recording process of the song? Maybe some interesting situations had happened? The recording process took us more time than we’ve planned, since I am the first representative who was named to represent his country . At first we had three songs among which we had to choose the best one . All of them were good in their own way and different, but at the end me, my team and the representatives from RTCG chose “Adio”, which suits me best. What is your song about ? “Adio” is about the infinite love to the person who is no longer among us. Love is in ourselves, and it’s eternal, although it is difficult to accept that our loved one is not there beside us . The song is very emotional and deep. Last year, Sergej Cetkovic had that luck to reach the grand final of the contest in Copenhagen, which was the first time for Montenegro, from the 6th attempt and we all are so pleased about it. What do you think, will your country qualify this year too? I believe it will, because, first of all, we have Zeljko Joksimovic as a songwriter of “Adio”, who is the ultimate musician and who has many years of experience at the Eurovision Song Contest. So , with it, I believe we can do almost everything. Nenad , we know pretty well that you are one of the most famous artists in the Balkans. How do you feel about it? Are you afraid of a possible failure in the competition, as it often happens that the failure representatives are quite negatively reflects on his career after the contest ? Well, the failure can comprehend anyone of the artists , but it's more important how we look at it, because it’s also can be a great lesson for us. Of course, it would be hard for me , because a lot of work and effort were invested in it, not only from me, but from Zeljko, and a big number of people behind the project . But again, in the other way, for me, this is already a victory because I’ve got the chance to take part in Eurovision . Soon we'll have a result. How are your preparations going on ? What is your current occupation? On what are you focused the most now? The whole Eurovision project is a great thing that requires full commitment , a lot of obligations , a big number of interviews , rehearsals , meetings , promotional tour . A few days ago we returned from Amsterdam , and here us now in Moscow , and then soon in London . Moscow is one of the most beautiful cities in the world . I try to stay focused and rested , in order to give my best. Tell us a few words about your performance on stage? Most of the Eurovision’s representatives like to surprise the audience , for example , last year's representative of your country came out the stage with the professional skater , and do your team and you save a surprise for viewers of the contest? I can say that we will have an interesting choreography . There will be five girls next to me , backing vocals , and I think it would be interesting. We won’t have any surprises on stage , because my song requires elegance and simplicity. Were you able to hear the songs of this year's contestants? Did you probably like some of them? Yes, I did. I've heard all of them and I like Sweden , Azerbaijan , Russia , Italy , Israel ... I often let the Playlist of this year's Eurovision songs and enjoy all of them . All of us, the contestants, should be very grateful to be given this honor to represent our native countries. Have you might had a chance to hear the song of the Russian representative - Polina Gagarina? Do you like Polina and her song - " A million voices " ? Yes, as I said , Polina’s song is one of my favorites. Congratulations! Our team and OGAE Russia wish you luck and all the best!